Have you ever asked a friend for a ride to the airport, only to have them back out at the last minute? Have you ever been frustrated as you attempted to navigate a new city? Have you ever wished you could work during your drive from the hotel to a meeting? There is a simple solution — Call a MegaCab. 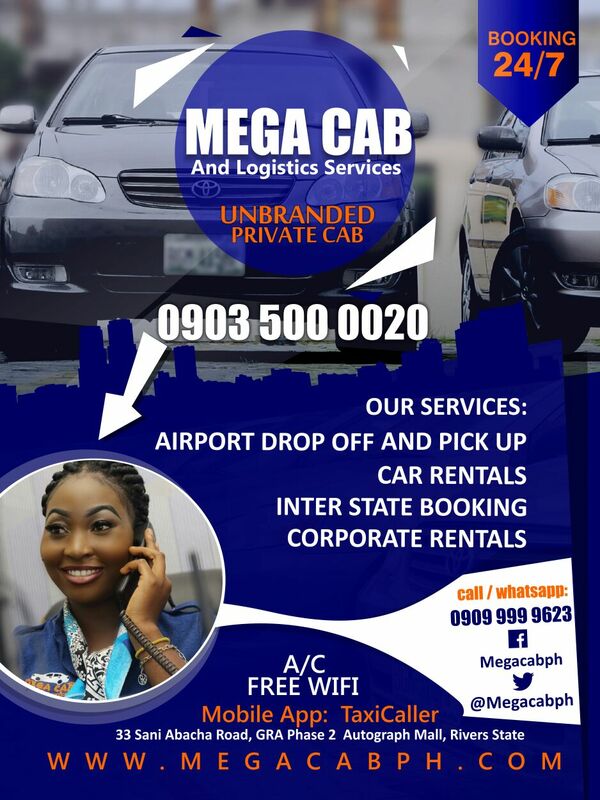 In Port Harcourt, MegaCab is there for you. You can now enjoy the comfort and safety from an organised cab company without the fear of losing your hard earned properties to robbers or fake cab drivers. • Private Unbranded Cab that allows you to enjoy the sense of ownership. 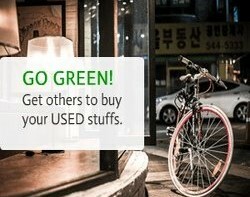 • Tracking devices in all MegaCabs. • Professional, Friendly, Warmth and well Trained Drivers. 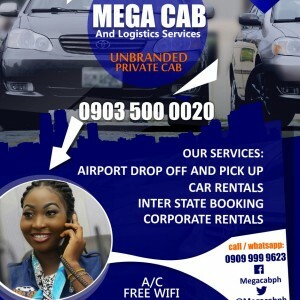 • A Mobile App that allows you to book for MegaCab (Watch a our Cab drive towards you Google Map). • An Excellent Customer Care Service. 0909 9999 623, 0903 5000 020.